September 21, 2010  While housing starts rose, the gain was mostly from construction of apartments and condos, not the much larger single-family home market. 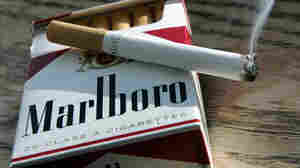 July 16, 2010  An industry study found smokers save society money — in part because they tend to die young. July 6, 2010  Meet Jonathan Bush: former ambulance driver, cousin of George W. Bush, and the CEO of athenahealth, a public company that doctors pay to manage their billing. June 30, 2010  Unless something changes, rising federal deficits will be driven largely by government spending on health care. March 25, 2010  A Latino advocacy group has launched an online campaign pressuring top Republican leaders to apologize for "inciting Tea Party racism." Ok, He Signed It. Now What? March 23, 2010  Millions of uninsured people will get health insurance. Millions will pay higher taxes. But the broader issue of rising health costs will remain a problem. January 20, 2010  On today's Planet Money, we put the champion of the Senate bill's "Cadillac tax" in the hot seat. November 20, 2009  On today's Planet Money, we go in search of cheap MRIs and find them in Japan. November 6, 2009  On today's podcast, two health care facilities down the street from each other — one charges $800 for an MRI, the other $450. November 4, 2009  On today's podcast, how Medicare pays doctors and why the current system doesn't work as well as some people think it should. October 16, 2009  On today's Planet Money, the owners of a pet hedgehog talks about why they spent nearly $2,000 on its cancer treatments, and an economists reveals his trouble with insurance for pets or people.